Sometimes we just don’t want to cook. We also don’t want to go through the trouble of finding a restaurant at such short notice. When this occurs, families and individuals all over the country turn to a beloved meal option that never disappoints: pizza delivery . Pizza is one of the most commonly consumed foods in the country, with over one billion pizzas being delivered each year. Pizza delivery provides the satisfying taste of a restaurant-cooked pizza with the ease and convenience of dining at home! Packing up the orders. Once a customer’s order is complete, the driver must check that all items are correct. Depending on the amount of orders as well as the proximity of the homes, drivers may take a few orders out at once. They carefully pack each order into their vehicle to ensure that the orders stay fresh and delicious. Driving to the customer. Drivers use their own vehicles to make their deliveries. Most pizza shops only deliver within a certain proximity, making it easier for the drivers to find their locations. Tasks at the store. When delivery drivers have no deliveries, they have responsibilities at the store to take care of. 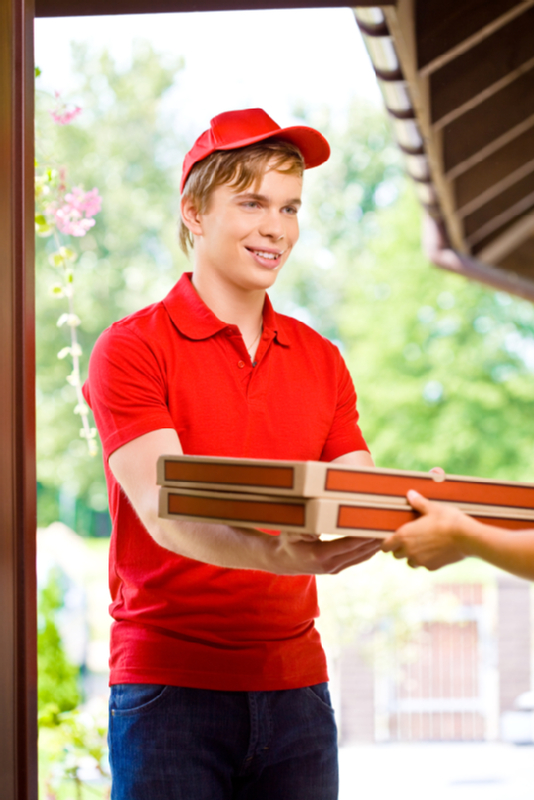 Many delivery drivers are also in charge of washing dishes, preparing dough, and cleaning the store. Some drivers answer phones and take down orders that they’ll deliver once they have been prepared. At Pizza Chicago-San Jose & Palo Alto , we deliver the best Chicago style pizza around! You can take a look at our mouth-watering menu online, order, and then have your customized deep-dish pizza delivered right to your home.